Mackenzie realized the dream of a Canada stretching from sea to sea. Beneath the lion and the unicorn supporting the coat of arms of Canada are the Latin words: A MARI USQUE AD MARE, taken from a Biblical text, ‘He shall have dominion also from sea to sea and from the river to the ends of the earth. Without Alexander Mackenzie (and his Nor’Wester friends Simon Fraser and David Thompson), Canada would have lost her entire Pacific Coast, being shut off from any access to the sea. 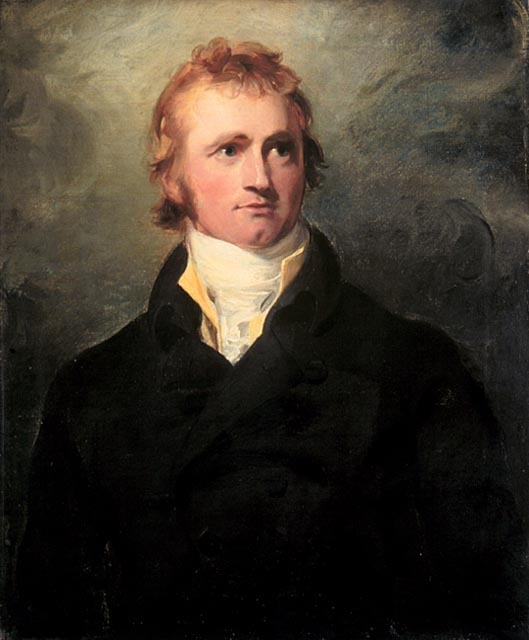 In 1764, Alexander Mackenzie was born in Stornoway on the Isle of Lewis, a windswept, rugged island in the Outer Hebrides off the west coast of Scotland. When Alexander was ten, his mom died. Neighbours, knowing he had memorized long passages from the Bible, predicted that Alexander would become a clergyman. Through the local pastor’s library, he learned about astronomy and the use of telescopes. At age 13, Alexander tabulated all the animal and plant life in the Hebrides, and he and his pastor tried unsuccessfully to get it published in London. To escape the grinding poverty, his family, like thousands of other Highlanders, moved to the New World, only to become caught up in the American Revolution. His father, like Simon Fraser’s dad, joined a United Empire Loyalist regiment near New York, before escaping with his family to Montreal. In those days, every one of Montreal’s 4000 inhabitants was involved in some way with the fur trade. 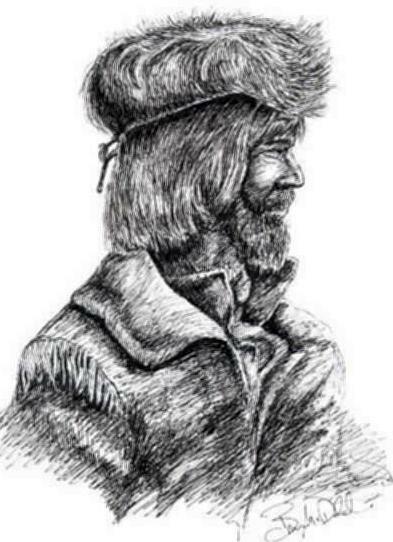 To young Alexander Mackenzie, the Montreal-based North West Company fur trade signified adventure, a chance to travel and explore new territory. The heart of the fur industry was the voyageurs, who were the heroes and athletes of the 18th century. As with the NHL, a voyageur was an old man at forty and forced to retire. A good voyageur paddled 40 strokes to the minute and could keep up that pace from dawn to dusk with brief stops. They had the reputation of being the finest canoeists in the world, who could travel anywhere. Most of the North West Company’s 1,100 voyageurs were Canadians, which in those days meant that they were Quebec-born francophones. The Northwest Company brought together a unique blend of Canadians and Scots like Simon Fraser and Alexander Mackenzie. At the height of the North West Company, it had eight times as many men in Western Canada as the more cautious Hudson’s Bay Company. 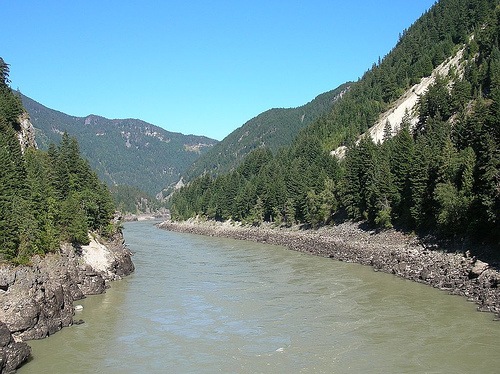 While looking for the Pacific Ocean, Mackenzie discovered and charted the largest river in Canada, the 2,500-mile long Mackenzie River . He reached the Arctic Ocean on July 14th, 1789 –the same day as the angry Paris mobs stormed the French Bastille. Mackenzie was so heartbroken over ending up at the wrong ocean that he named his river ‘The River of Disappointment.’ The Arctic explorer Sir John Franklin renamed it the Mackenzie River. Over 200 years later, there are 11 different places named after Alexander Mackenzie in BC and the North West Territories, including the Mackenzie Delta, the Mackenzie Mountains, the Mackenzie Highway, and the Sir Alexander Mackenzie Provincial Park. Mackenzie the Scottish Bulldog was above all things resilient. Rather than give up his Pacific quest, he went to England to improve his knowledge of astronomy and geography. Upon returning to Canada, Mackenzie once again struck out towards the Pacific Ocean, known by some First Nations as the ‘Stinking Lake’. 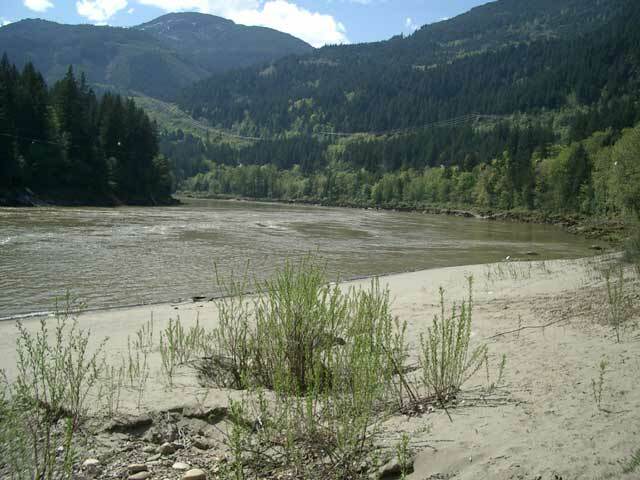 This time he traveled down the Peace River and the Parsnip River before trekking the final distance over the ‘Grease Trail’, traveled by the First Nations for countless generations. Once again his victory was bitter-sweet. 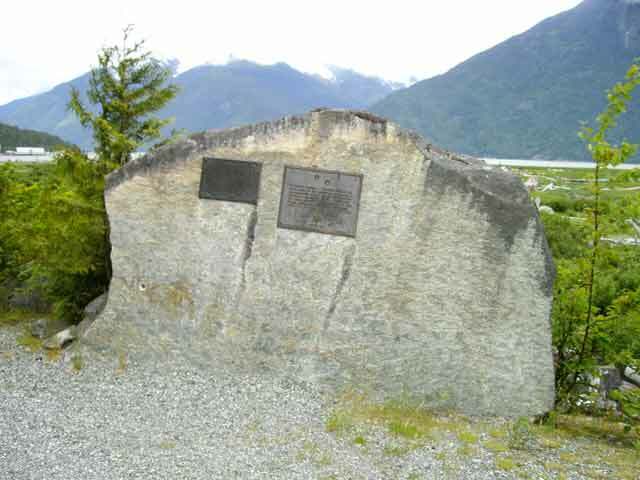 Yes, he had succeeded in reaching Bella Coola on the Pacific Ocean. 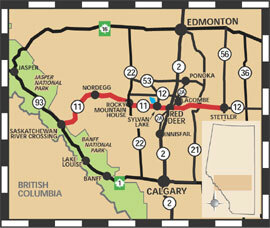 But like Simon Fraser, he too had discovered a route that was useless as a fur-trading canoe highway. Following his two epic journeys to the Arctic and the Pacific Oceans, Mackenzie wrote an instant best-selling book called Voyages. His book was so popular with the English and Germans that the publisher could not print enough copies to keep up with the demand. During this time, he went back to England, became friendly with the Prince of Wales, and was knighted by his father King George IV. That winter and spring, Sir Alexander was the most popular man in London. No social event was considered a success unless he attended it. Between his book sales and his fur trading, Mackenzie became one of Canada’s wealthiest men. He even spent a brief period in Canadian politics which ‘bored him to tears’. He also founded his own fur-trading ‘XY Company’ and tried unsuccessfully to do a corporate takeover of the failing Hudson’s Bay Company. 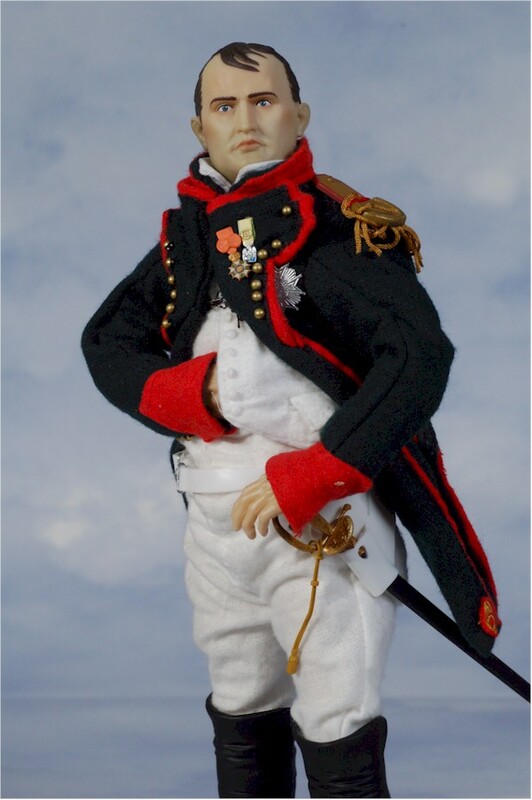 Few people in Canada realize that Mackenzie was an unwitting ‘accomplice’ in Napoleon’s planned re-conquest of Canada. Napoleon had Mackenzie’s book smuggled from England and translated into French. 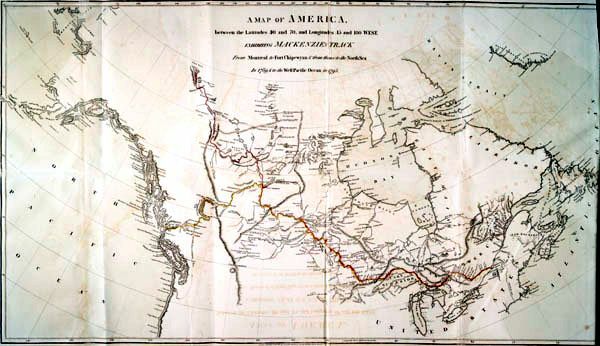 Mackenzie’s description of the Western Canada river system was so precise that Napoleon had set up a scheme during the War of 1812 to use Mackenzie’s book to invade Canada. Canada would be conquered by a surprise attack from New Orleans, up the Mississippi River. Fortunately for Canada, Napoleon ended up invading Moscow rather than Ottawa. My prayer is that Jesus may raise up many more Alexander Mackenzies, people with bull-dog persistence, inexhaustible energy, and insatiable curiosity. Categories: Alexander Mackenzie, BC, Canada, explorer, Uncategorized, voyageur | Tags: A MARI USQUE AD MARE, American Revolution, Anglican Mission in the Americas (Canada), Arctic, Bastille, Bella Coola, Bernard De Voto, Bible, Bulldog, David Thompson, England, First Nations, francophone, Highlander, Hudson Bay Company, Isle of Lewis, King George IV, Lewis & Clark, Mackenzie Delta, Mackenzie Highway, Mackenzie Mountains, Mackenzie River, Montreal, Moscow, Napolean, NHL, Nor'Wester, North America, North West Company, Outer Hebrides, Pacific Ocean, Parsnip River, Peace River, Prince of Wales, Scotland, Simon Fraser, Sir Alexander Mackenzie, Sir Alexander Mackenzie Provincial Park, Sir John Franklin, Stinking Lake, Stornoway, The River of Disappointment, travelers, United Empire Loyalist, Voyages, War of 1812, wilderness, XY Company | Permalink. One of the best things that ever happened to the famous BC explorer David Thompson was when a large log rolled from a sleigh and crushed his leg. All things really did work for the good through that tragedy (Romans 8:28). His broken leg gave him time to learn math, science, and instruments of surveying, how to keep field notes and journal-keeping. As a result, David Thompson learned the necessary skills which enabled him to put Western Canada on the map. 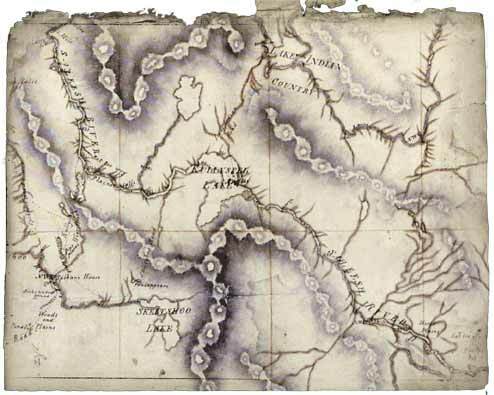 The early 19th century Western Canada map was essentially blank until Thompson filled it in. Thompson was one of the master-builders of Canada and possibly the greatest geographer the world has known. As a land geographer, Thompson was the peer of Captain James Cook, the great sea geographer of the oceans. Thompson has been described as a great surveyor disguised as a fur trader, as a marvelous scientist with the sensitive soul of a prophet. By his own initiative and industry, he explored and surveyed more than a million and a half square kilometres of wilderness, accomplishing the staggering feat of mapping half a continent. Even Alexander Mackenzie, the renowned explorer, was quite astounded and remarked that Thompson had performed more in ten months than he expected could have been done in two years. Thompson’s map, his greatest achievement, was so accurate that 100 years later it remained the basis for many of the maps issued by the Canadian government and the railway companies. We can even credit David Thompson with the exacting survey of much of the Canadian/US 49th Boundary. Thompson’s written ‘Travels Journal’ shows his multifaceted gifts as scientific explorer, geographer, cartographer, and naturalist. Some scholars have described Thompson’s Journal as one of the finest works in Canadian literature. His directness in prose, his modesty and ability to see himself and others, his sharp powers of observation and intense practicality all contribute to a vivid glimpse of early Canadian pioneering. His account of his adventures has also been described as one of the world’s greatest travel books. When David was only two years old, his father died and his mother moved to London, changing their Welsh name ApThomas to the more easily spoken Thompson. When David moved to Canada, he never saw either his family or London town again. In his journal, David wrote movingly of a ‘long and sad farewell to my noble, my sacred country, an exile for ever’. Thompson the Canadian immigrant grew to love ‘the forest and the white water, the shadow and the silence, the evening fire, the stories and the singing and a high heart.’ He was modest, talented and deeply spiritual. The First Nations people gave him the name Koo-Koo-Sint, which means ‘Star-Gazer’, in recognition of his star-based map work. It wasn’t that he was a starry-eyed dreamer, but rather a dedicated scientist using the best mapping technology of his day. David Thompson apprenticed with the Hudson’s Bay Company, but later switched to the competitors, the North West Company, because the Hudson’s Bay Company wanted him to focus on furs, not map-making. The North West Company appointed Thompson as their official ‘Surveyor and Map Maker’, and proudly displayed his finished map of Canada on their boardroom wall. 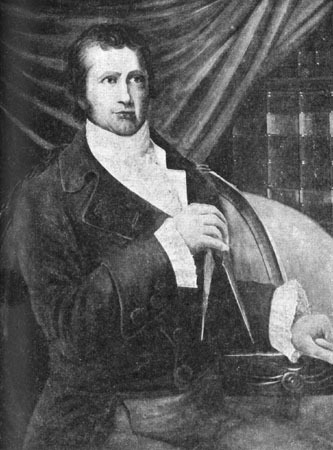 Thompson’s brother-in-law, John McDonald, considered Thompson a good trader, a fearless traveler, and a man who was liked and respected by the First Nations. His few criticisms of his brother-in-law had to do with his spirituality, his passion for surveying, and his total unwillingness to drink or to sell liquor when dealing with customers. Thompson had seen so many First Nations people harmed by the liquor trade that he had acquired a strong aversion to such profiteering. Unlike many Nor-Westers, Thompson did not abandon his wife Charlotte and his family when he finally became wealthy. David and Charlotte Thompson, who had seven sons and six daughters, were only parted by his death fifty-eight years after their marriage. 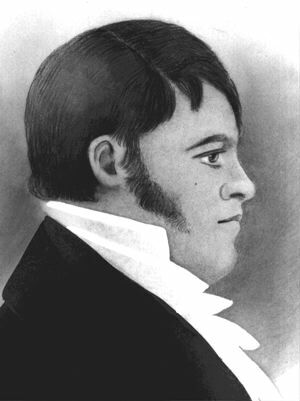 Thompson tried in vain for years to find a profitable trade route to the Pacific. Upon hearing that the American Jacob Astor had sent out his sea and land expedition to the Oregon country, the Canadians sent David Thompson to try once again. 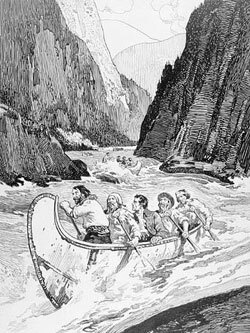 Thompson and his voyageurs bravely made their way down the Columbia River. They were continually wet up to the middle, and exposed to cold highwinds. The glacier water deprived them of all feeling in their limbs. Despite such hardships, Thompson never gave up, instead writing in his Journal that they ‘continued under the mercy of the Almighty and at sunset put up, each of us thankful for our preservation’. When they finally reached the Pacific watershed, Thompson knelt on the banks of the Blueberry Creek and prayed aloud: ‘May God in his mercy give me to see where these waters flow into the ocean, and let us return in safety.’ He and his voyageurs eventually did make it to the mouth of the Columbia River, but unfortunately arrived there after Jacob Astor. One can speculate that if David Thompson had been a little quicker, the name ‘British Columbia’ might have been a more accurate description of our province. Despite Thompson’s great success in canoeing to the mouth of the Columbia and in mapping most of Western Canada, he died in extreme poverty and obscurity, even having to pawn his beloved surveying equipment and his overcoat to buy food for his family. Yet throughout the hardships, Thompson never stopped gazing at the Morning Star, Jesus Christ. I give thanks for David Thompson the Star-Gazer who did so much for every one of us as Canadians and British Columbians. To receive a signed copy within North America, just send a $20 cheque (USD/CAN) to ED HIRD, 102-15168 19th Street, Surrey, BC V4A 0A5. 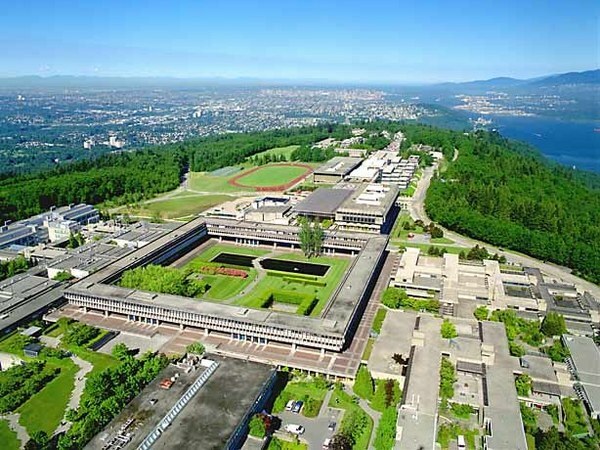 – In order to obtain a signed copy of the prequel book Battle for the Soul of Canada, please send a $18.50 cheque to ‘Ed Hird’, #102-15168 19th Avenue, Surrey, BC, V4A 0A5. For mailing the book to the USA, please send $20.00 USD. This can also be done by PAYPAL using the e-mail ed_hird@telus.net . Be sure to list your mailing address. 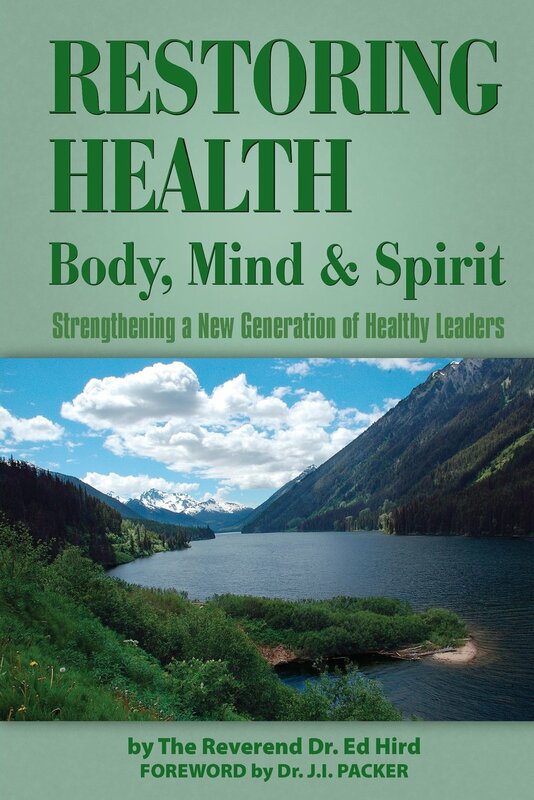 The Battle for the Soul of Canada e-book can be obtained for $9.99 CDN/USD. 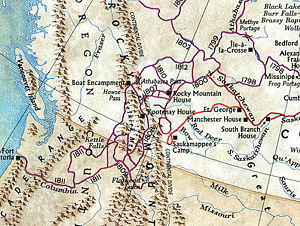 Categories: BC, Canada, David Thompson, explorer, Uncategorized, voyageur | Tags: 49th Parallel, Alexander MacKenzie, Anglican Mission in the Americas (Canada), ApThomas, Blueberry Creek, British Columbia, Captain James Cook, Charlotte Thompson, Christian, Columbia River, David Thompson, First Nations, fur trader, Hudson Bay Company, Jacob Astor, John McDonald, Koo-Koo-Sint, liquor trade, London, map-making, North West Company, Oregon, Pacific, prayer, scientist, Star-Gazer, surveyor, Travel Journals, voyageur, Western Canada | Permalink. Sometimes I ask myself: Why is English now spoken by hundreds of millions of people in virtually every country of the world? Why do most people of English ancestry live anywhere but England? Australia, New Zealand, USA, Canada, South Africa, etc. Perhaps it is because as seagoing islanders, the British were insatiable searchers for that which was beyond. From the ranks of such inexhaustible seekers emerged the greatest of the 18th century nautical explorers –Captain James Cook. James Cook had an unbounded curiosity and a deep interest in everybody and everything with which he came into contact. Born on October 27th, 1728 in Yorkshire, Cook’s father was an impoverished Scottish farm labourer and his mother a simple Yorkshire village woman. Cook began his sea life by lugging coal off the treacherous east coast of England. There he learned how to survive the storms, fogs, hidden shoals, and tricky tides. In 1758, Cook was master of the Pembroke, a 1,250 ton, 64-gun man-of-war. In early 1759, the Pembroke joined a blockade of the Saint Lawrence River designed to prevent French ships from carrying supplies to the fortress colony of Quebec. Cook led patrols up and down the river, charting every hazard, and marking a channel for the warships to follow. During the British assault on Quebec City, Cook successfully navigated the massive Pembroke up the narrow, twisting, and frequently shallow waterway. Without the help of Ship’s Master James Cook, it is doubtful whether the British troops could have taken the fortress by surprise. With only a few years of elementary school education, no one ever expected that a ‘nobody’ like James Cook would one day be chosen as a navy sea captain. Since the upper class were virtually the only officers, there was little chance of promotion by merit in that caste-bound naval world. By sure grit and determination, he taught himself mathematics and astronomy, and at age 40, was chosen as captain, an age when most naval officers had passed their peak. After being appointed captain, Cook went on to complete three global voyages from 1768 to 1779, exploring and accurately mapping more of the earth’s surface than anyone else before or since. He became the first European to set foot in Australia, the first to fix the position of remote places accurately, the first to establish longitude (one’s position east and west), and the first to have extensive contact with all the various peoples of the Pacific. It can safely be said that in his time no man knew the world as well as Captain Cook, and no other explorer had such an impact on the global map. 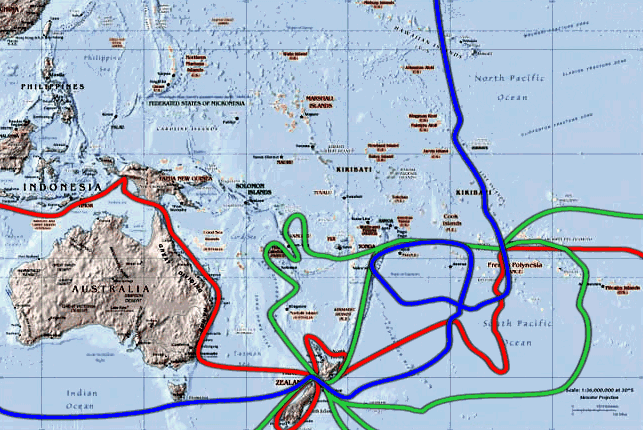 As a result, the name of James Cook is commemorated across the length and breadth of the vast Pacific: Cook Strait and Mount Cook in New Zealand; Cooktown and Cook’s Passage in Australia; The Cook Islands in Polynesia, and Cook Inlet in Alaska. With Cook’s discoveries and surveys, the geography of the world was nearly complete. Only Antarctica remained to be discovered. 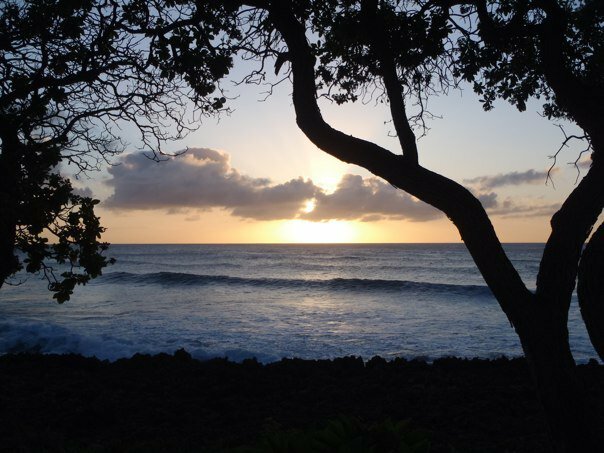 Upon reaching Hawaii, the islanders worshipped Captain Cook as the god Lono. Curiously, Lono was envisioned as a white god fated to arrive on a magical floating island during the holiday of Mahahiki. Cook’s ships’ huge sails therefore were construed to be long staffs bearing Lono’s divine white banners. 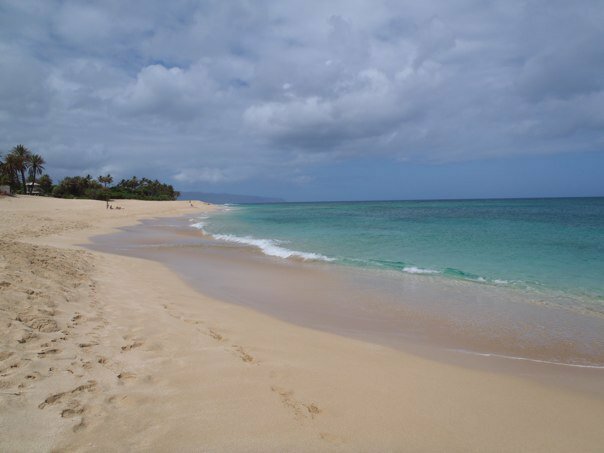 When Cook returned to Hawaii from having explored British Columbia, he upset the Hawaiians who had then turned to the season for worshipping the god of war Ku. Things went from bad to worse, and when Cook attempted to hold the king hostage for the return of a stolen cutter, hundreds of Hawaiians converged on him with deadly effect. To many of his crew such as the future Captain George Vancouver, losing Captain Cook was like losing their own father. Captain James Cook as a World Explorer was not afraid to check out uncharted waters. My prayer for those reading this article is that we too as world explorers may be willing to ‘walk in the spiritual feet’ of Captain James Cook. Categories: Captain James Book, explorer, Uncategorized | Tags: Alaska, Anglican Mission in the Americas (Canada), Antartica, Australia, Canada, Captain George Vancouver, Captain James Cook, Cook Inlet, Cook Islands, Cook Strait, English, god Lono, god of war Ku, Hawaii, Mahahiki, Mount Cook, New Zealand, Pembroke, Quebec City, Saint Lawrence River, South Africa, USA, World Explorer, Yorkshire | Permalink.